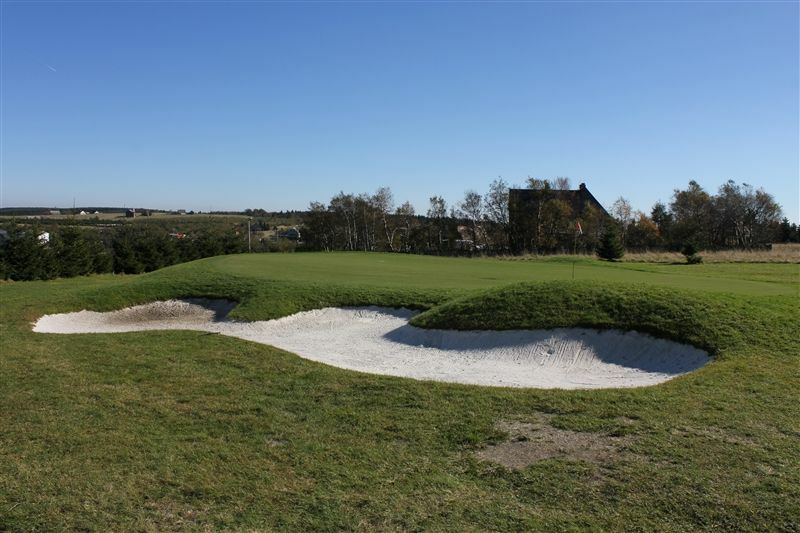 As the first holes were created, a nine-hole course was created in the same way. A group of enthusiasts finished it almost by themselves in 2004. It is basically a classical links, although 850 metres above sea-level. 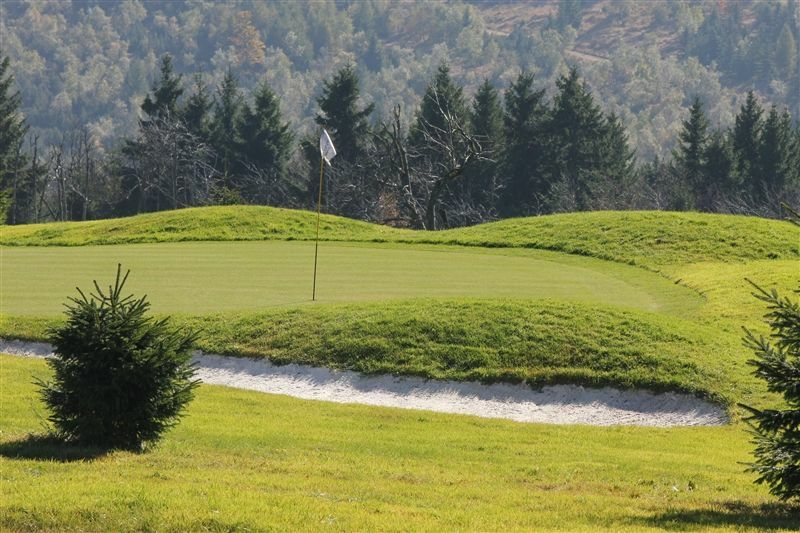 It is gently undulating but demanding, not only due to wind which often makes play difficult here. Moreover, the clubhouse is unique – where else can you find refreshment after golf in a chalet? We can say that it is a real Scottish course, the weather makes real Scotland here. Sometimes it is foggy and damp, sometimes windy and sometimes even sun shines above the course which is so high that you stand on the level of surrounding hill tops which you can see from all holes. But the atmosphere here is unique. Quiet, peace, it is only you and golf. There is everything what golfers can expect available. 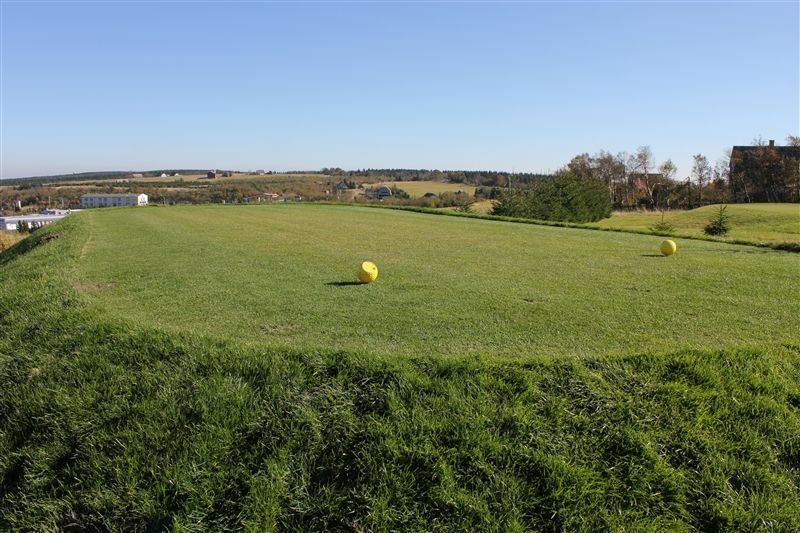 A large driving range, chipping and putting green and sufficient number of parking places. There is also a wide choice of additional services for leisure time. The course rating whose par is 72 is more merciful for women and golfers who have higher handicap. The most difficult hole is the longest one Nr. 8, par 5, with length of 496, or more precisely 428 metres. 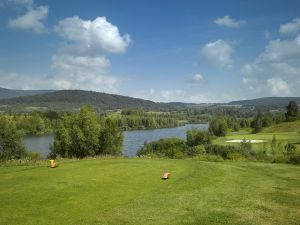 The shortest hole has identical tees and length of 115 metres. 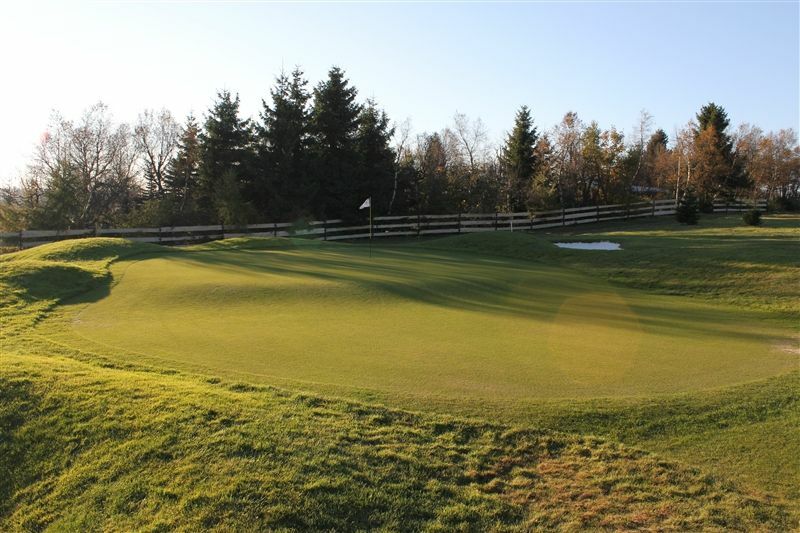 The holes concur to each other circulating around the central course point – the clubhouse which is advantageous when the weather changes suddenly. 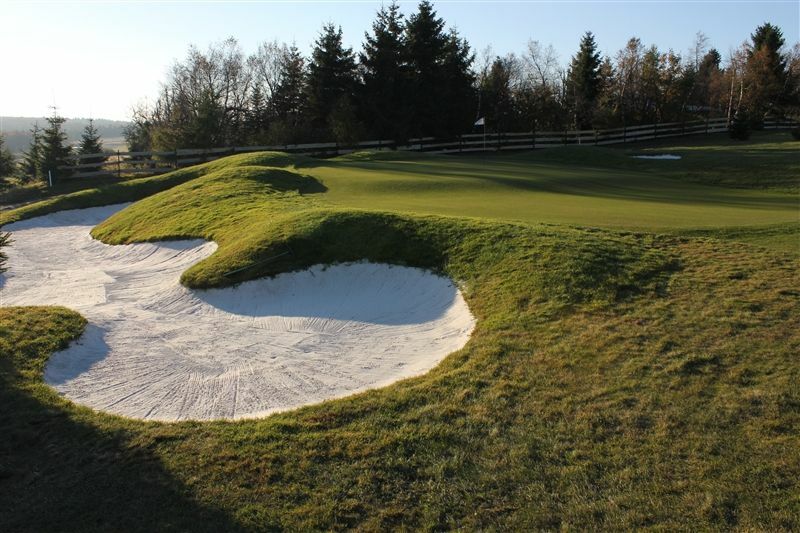 In all respects the course can be recommended because it proves golfers’ endurance in terms of course traps as well as themselves. 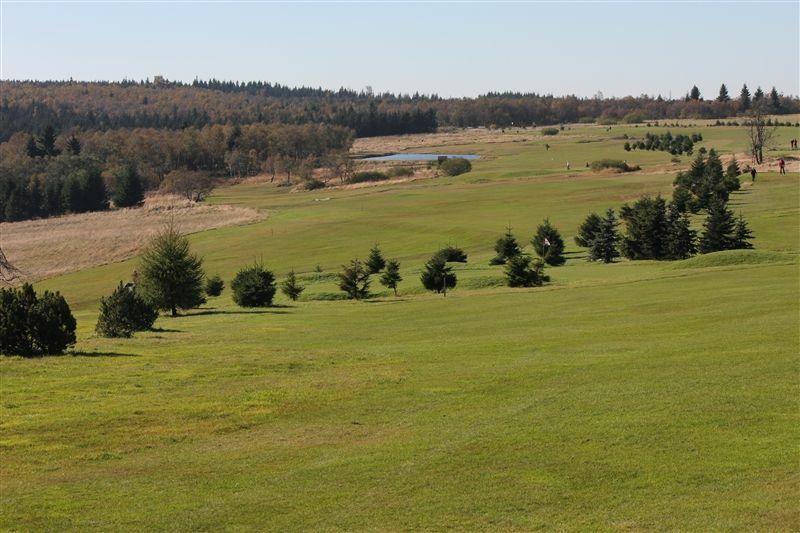 The course is a domicile of the Teplice GC. 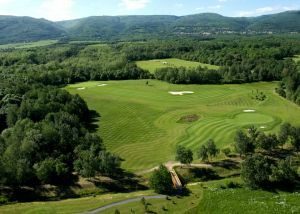 Teplice - Cínovec - Teplice (9) is not yet in our pool of Golf Courses for orders.